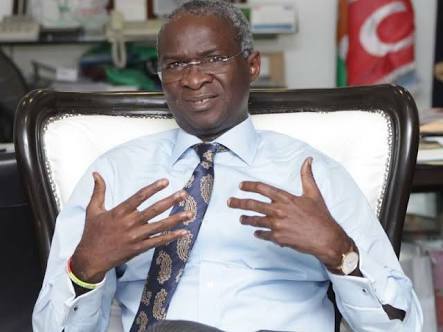 Nigeria's minister for Power, Works, and Housing, Babatunde Fashola has cried out that the frequent probes by the House of Representatives on issues affecting the Ministry are distracting him. On Wednesday, Fashola vented his frustration to the assembly while facing an investigative hearing on the transmission company of Nigeria (TCN) organized by the House Reps committee on power. “We closed here last week and we are resuming this week with this committee. Committees of the House also will be asking us of our budget performance and we just need to work in the office so that we can also perform. So, I think there’s a sense here that I respectfully ask you to sufficiently use this time so we can also work to serve the Nigerian people. "We have a letter dated December 20, 2017, and that letter was issued under the name of one Nnamdi D. Onuigwe Esqr, Committee Clerk. And, it’s from the House of Representatives, saying the House has constituted an ad hoc committee on the need to investigate the Fiscal Responsibility and Procurement Acts by the TCN. It was pursuant to House resolution 114/ADHOT/TCN2 of December 20. "Now, we were waiting to be invited by the ad hoc committee when we got this letter asking us to come today, signed by Ibrahim Sidi, Committee Clerk pursuant to House resolution 189 of December 5, 2017. Although, it’s headed as 'Need To facilitate Swift action on management of TCN Electric Power Reforms', it goes in the body to ask us to come and explain to this investigative committee the interim management of TCN on the delay in the implementation of projects such as the Nigerian Electricity Gas Improvement project that will improve power sector in Nigeria. "So, I seek clarification in order to assist the committee in its work and if it’s possible, to harmonize all of what we want to do together, bearing in mind that this House substantially is handling some possibly over-lapping issues."